April 18, 2016 – Don’t miss our ever-popular Tack Sale! This year it will be right on the grounds of Fieldstone Farm. 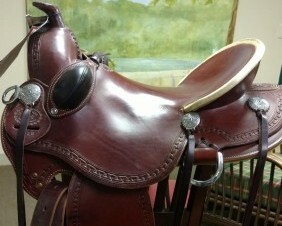 Gently used saddles, boots, bridles and more will be on sale, all to benefit Fieldstone Farm programs. It is a great way to stock up while supporting our students. Donations will be accepted until April 28. Please call the farm at 440-708-0013 with any questions. Thanks for supporting this community event.